We’re thrilled to be opening the doors to The One Bull again 3 weeks today! It’s been a very long 4 months since we had to close due to the fire next door at Cycle King. Things are well and truly underway now though with work moving at a rapid pace to get the building back to what it was before the fire. 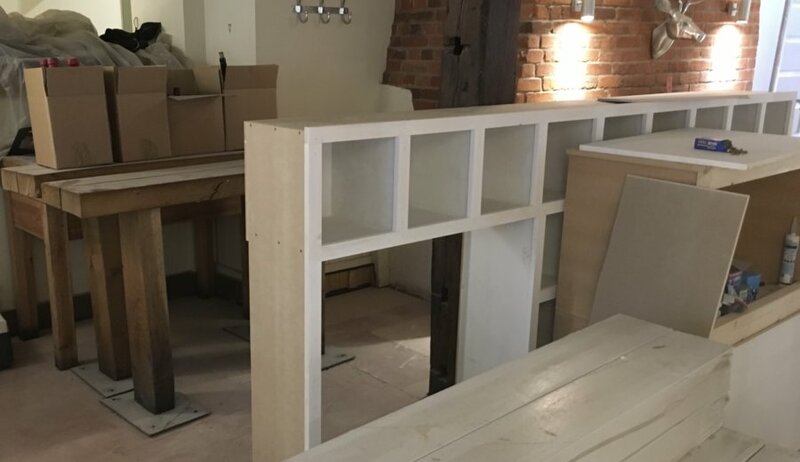 Today the new oak floor is being laid in the bar – it won’t be long before our chefs are back in the kitchen working on their menus and the front of house team are stocking the newly built wine rack with lots of lovely wine. We’re taking bookings from 1st February onwards. We’d like to thank you all for your kind messages, words of encouragement and support over the past few months which really have made a difference. We and The One Bull team look forward to seeing you very soon.